Ann has been a midwife for over 25 years, and in that time has worked in all aspects of maternity care. She has specialised in antenatal care, Lactation consultancy and Advanced Certificate in Neonatal Intensive care. She has a passion for research, and has worked extensively on all aspects of research relating to mothers and babies, including Reduced Fetal Movements, the Hyperglycaemia and Adverse Pregnancy Outcomes Study (HAPO), the PPROMPT study,and other multi-centred trials as part of her Research Co ordinator position at the Mater Mothers Research Centre. Ann completed her Honours (Class 1) in 2011 following research relating to midwifery care of women who develop Hypertension in Pregnancy, and then completed her PhD in 2015, with a thesis aimed at delaying the risk of the development of Type 2 Diabetes Mellitus following Gestational Diabetes Mellitus. Her research interesets lie in the care of women with complex conditions in pregnancy with a view to encourage the best possible outcome for both mother and baby. 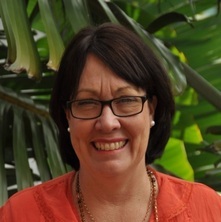 Ann has been teaching at UQ since 2011 and is currently working as a Program lead for the Master of Midwifery Program Lecturer for The School of Nursing, Midwifery and Social Work, The University of Queensland and also lectures for the Undergraduate Bachelor of Midwifery, Bachelor of Nursing and Bachelor Dual Degree. Ann's research interests lie in the care of women with complex medical conditions before, during and post pregnancy. Drawing on her experience within the teaching arena, Ann is investigating how knowledge can be improved through multi level teaching, particulaly in the care of compelx pregnancies, to improve clinical care for mothers and babies. Peacock, Ann (2015). A mixed methods study of interventions and experiences to prevent type 2 diabetes mellitus following gestational diabetes mellitus PhD Thesis, School of Nursing, Midwifery and Social Work, The University of Queensland. Peacock, A, McIntyre, H. D., Wilkinson, S. A. and Bogossian, F. (2014). Walking for Exercise and Nutrition to prevent Diabetes for You (WENDY) Project. In: 30th Triennial Congress, International Confederation of Midwives, Prague, Czech Republic, (). 1-5 June 2014. Peacock, Ann, McIntyre, H. D., Wilkinson, S., Gibbons, Kristen, Kim, C. and Bogossian, Fiona E. (2013). Randomised controlled trial of a combined web based pedometer and dietary intervention for women with previous gestational diabetes. In: The 45th Annual Meeting of the Diabetes Pregnancy Study Group (DPSG), St Julians, Malta, (). 3-6 October 2013. Peacock, Ann, Bogossian, Fiona E., Wilkinson, Shelley A., Kim, Catherine and McIntyre, David (2013). Randomised controlled trial of a combined web based pedometer and dietary intervention for women with previous gestational diabetes (the WENDY Study). In: Breastfeeding and Obesity. Implementing changes from new guidelines.. Australasian Diabetes in Pregnancy Society (ADIPS) Annual Scientific Meeting 2013, Sydney, NSW, Australia, (). 30-31 August, 2013. Peacock, Ann, McIntyre, H. D., Wilkinson, S., Gibbons, Kristen, Kim, C. and Bogossian, Fiona E. (2013). Walking for exercise and nutrition to prevent diabetes for you (WENDY). In: Australian College of Midwives Research Seminar, Ipswich, QLD, Australia, (). 2013.